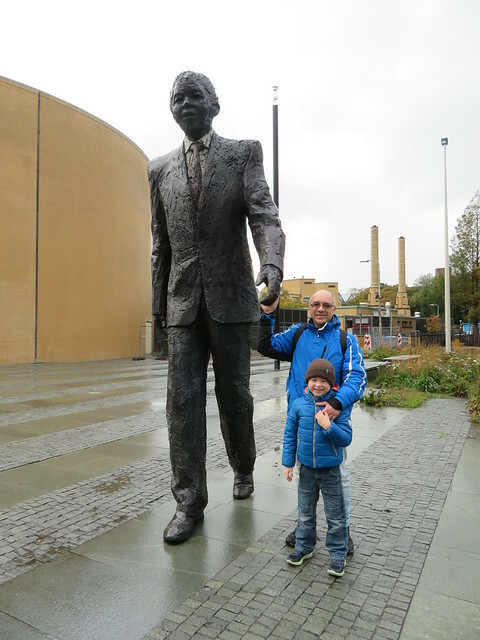 Last month on weekend, we went to Den Haag to visit Omniversum. Omniversum is a sort cinema with bigger screen than cinema. For us, it was first time to go there. It took around 1 hour and 30 minutes to go there with a car. Den Haag is a big city. It is always difficult to find a cheap parking place. We were lucky, we arrived there around 10 am. We parked our car at the hotel not far from the Omniversum. It cost 6 euro and 50 cents for all day. But when we were at the Omniversum's cash register, they said we can park our car in front of Omniversum for free until 1 pm. Blessed us, hubby directly moved his car out from the hotel. It is not like movies in the cinema, at Omniversum we can only watch educational film. That day we choosed underwater world. The film took around 45 minutes. 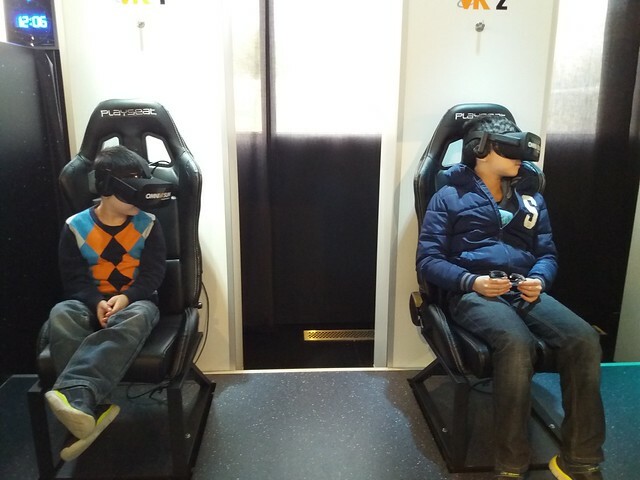 After movie, the boys tried VR (virtual reality) for around 5 minutes. They said it was interesting. The plan was to go around the city after movie, but we changed our mind because we were not familiar in Den Haag. We didn't know where to park our car. There are lots of parking garage in the areas with different prices. So... we decided to go home. Next time to go to Den Haag for sight seeing, better we go with a public transportation (train).